Since the Qwi Nerve Protection gloves didn’t work out as I’d hoped, I was back on the hunt for a part of summer gloves with palm padding. I wanted a glove with either no cuff or a short cuff for easy on and off. I’d mainly be using it for short trips around town, to and from work, and as a backup pair for longer trips when my hands got fatigued. Of course, I still wanted a good amount of protection. Tall orders, I know! When they finally arrived in the mail last weekend, I was a little nervous because the pinkie on the left glove was curved dramatically compared to the right (thus making it slightly shorter). When I put them on, I could feel the left pinkie fit differently. But since they seemed good in every other aspect, and I really wanted to use them right away, I decided to keep them in hopes that the leather would stretch out a bit. After a few hot and humid rides, that’s exactly what happened. It’s still slightly shorter than the right, but it’s not that noticeable anymore. And I expect it will stretch a bit more as I continue to wear the gloves. The left pinkie is noticeably more curved than the right, making it a little bit shorter. 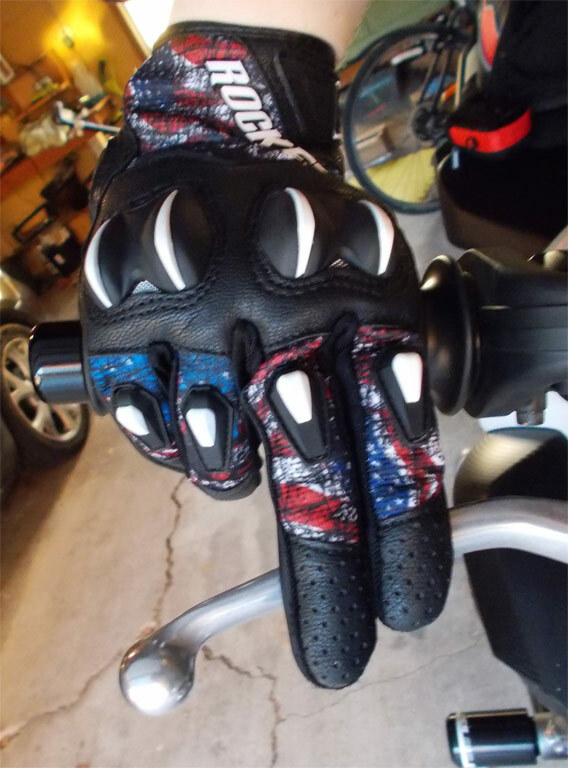 Since these are summer gloves, there is a trade off between comfort and protection. 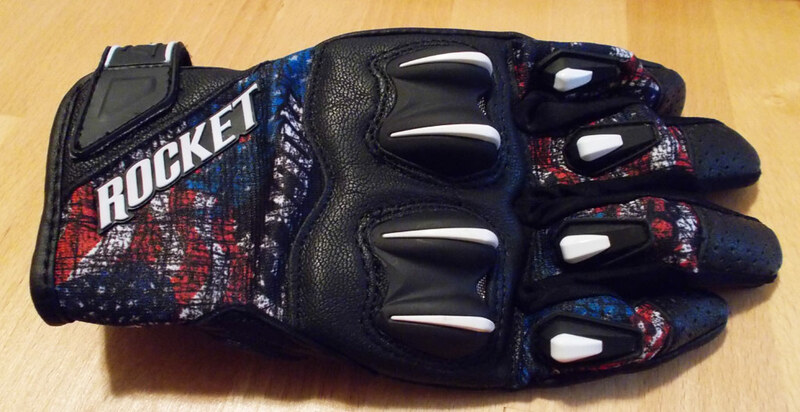 Certainly, the Cyntek gloves are less protective than a full gauntlet, solid leather glove. However, I think this glove makes those sacrifices in protection in mostly all the right places. Full leather palm with suede overlay for controls area. A few perforations in the fingers. 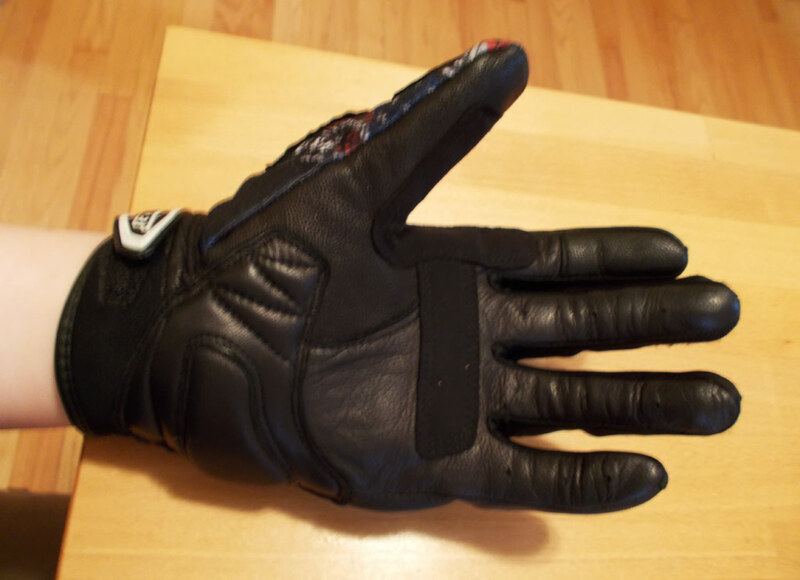 The palm is leather with a suede overlay in the thumb and forefinger area as well as across the upper palm. The seams are very low profile, so I didn’t experience any snagging on the grips while twisting the throttle or reaching for the clutch and brake levers. Leather panel on outside of pinkie. Knuckle protectors help keep fingers off the ground. 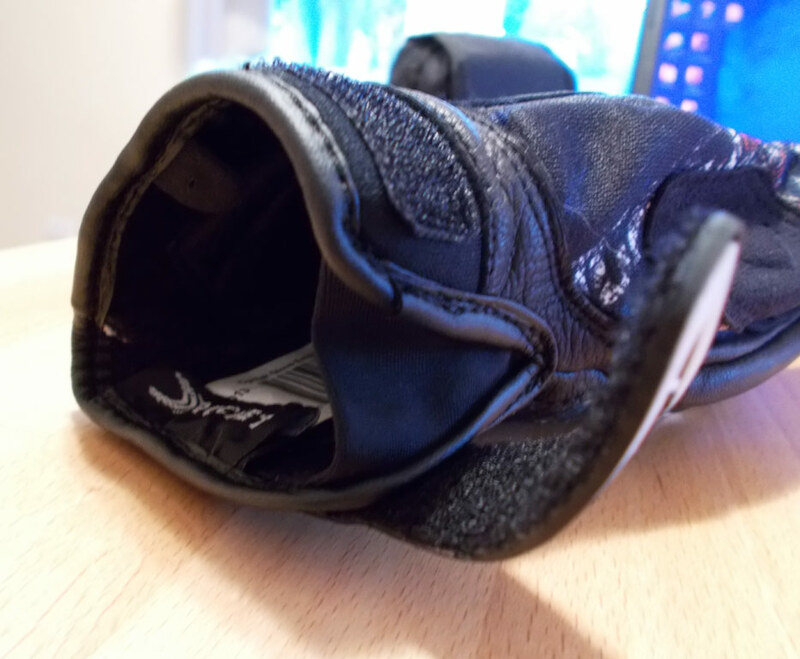 There is a narrow leather panel that runs the full length of the side of the pinkie, which is more protective than having seems meet there since that’s the part of the glove that will most likely be sliding along the pavement. 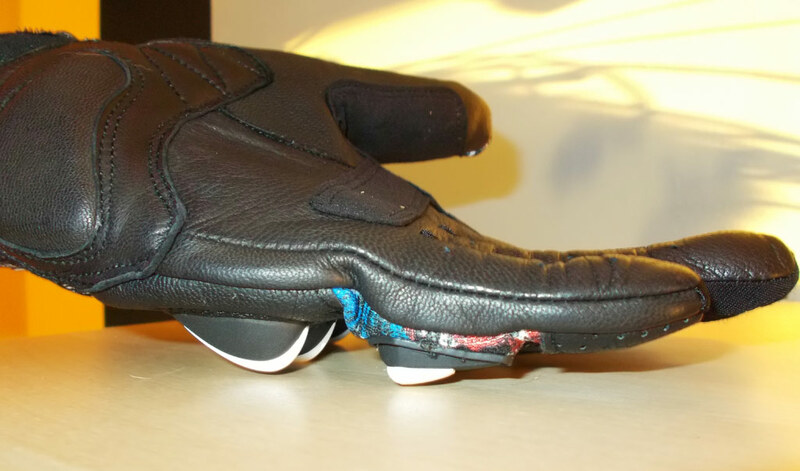 At the heel of the palm, there is a raised padded area reinforced with leather–again, providing extra protection on the areas most likely to be sliding. 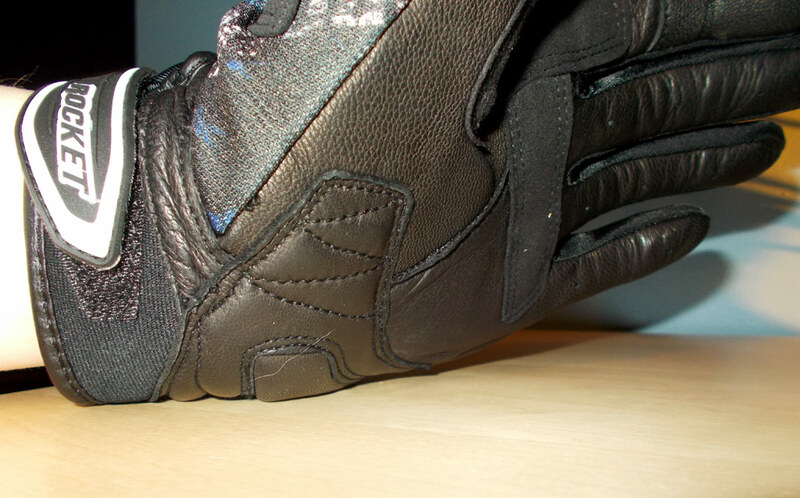 The base of the palm has some extra padding, and the heel has a raised padded area. 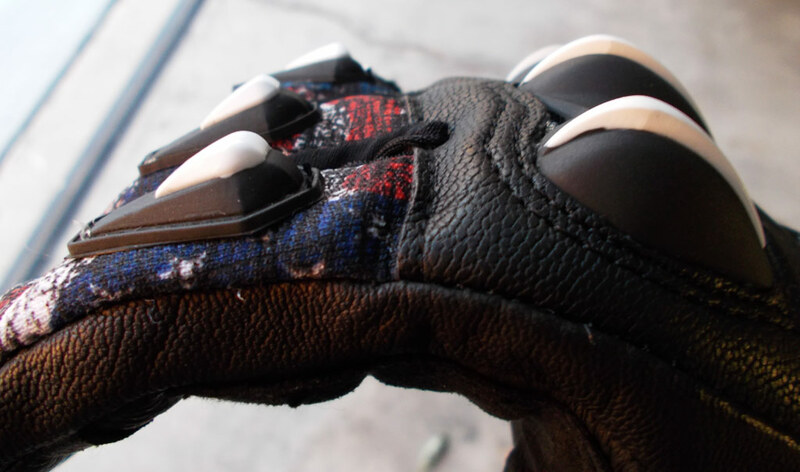 On the top side of the glove, the finger tips are capped in perforated leather, offering some protection in addition to providing some air flow. 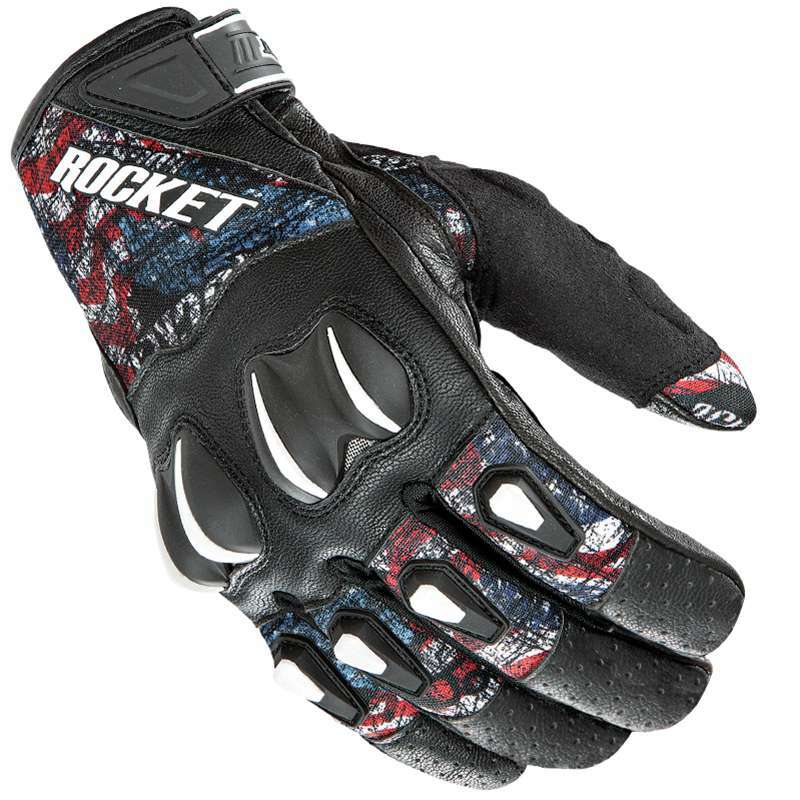 The fingers and back of the hand are covered in breathable nylon material with hard rubber on the knuckles for impact protection. The hard rubber feels pretty substantial. The bottom of the wrist is trimmed in leather. The velcro wrist closure strap is rubber, making it easy to use when wearing gloves, and also hopefully making it more durable. 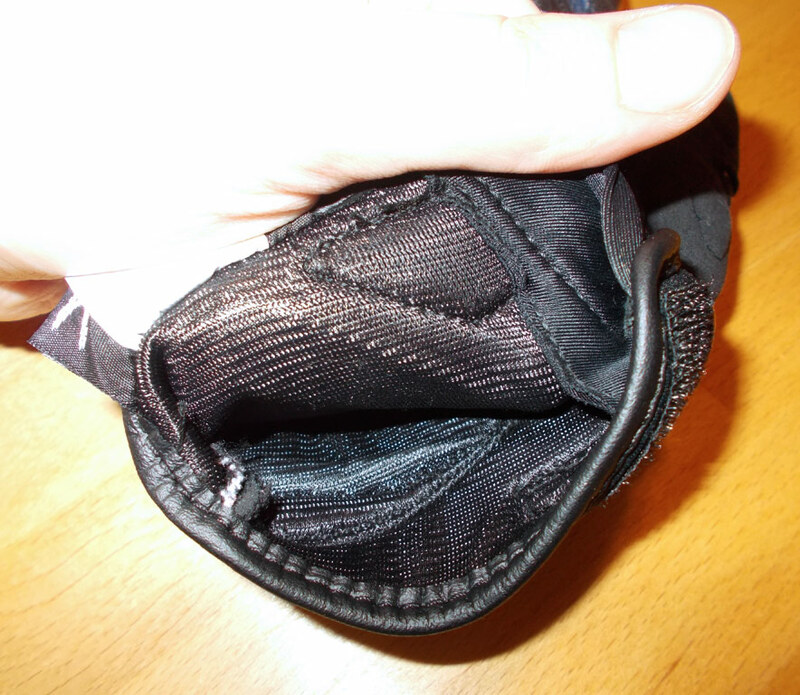 In addition, there is a small nylon gusset behind the wrist closure opening. The leather is thin, so I didn’t experience any stiffness with the gloves. The fingers are slightly pre-curved, while still being very flexible thanks to the nylon tops. The knuckle protectors are padded, so I didn’t feel them them dig into my fingers at all, and even though the large knuckle protector isn’t free floating, the nylon material allows it to slide a bit when wrapping your hand around the grip. Good amount of flex in the fingers. Knuckle protectors are comfortable. The palms are padded just enough that I don’t feel the grips digging into my hands, but still thin enough not to interfere with the feel of the controls. I do have an upright riding position on my bike, which keeps most of the weight off of my hands; so, if you were to have a more tucked position like on a sport bike, this may not be padded enough for you. Inside edges of fingers are nylon. The tips and sides of the fingers are nylon (except the outer edge of the pinkie and forefinger which are leather), allowing a lot of air to flow through and cool down your fingers and hand. It also cuts down on the weight of the glove. This might not seem like a big deal, but it’s amazing what a difference just a few grams of weight can make on a long ride. 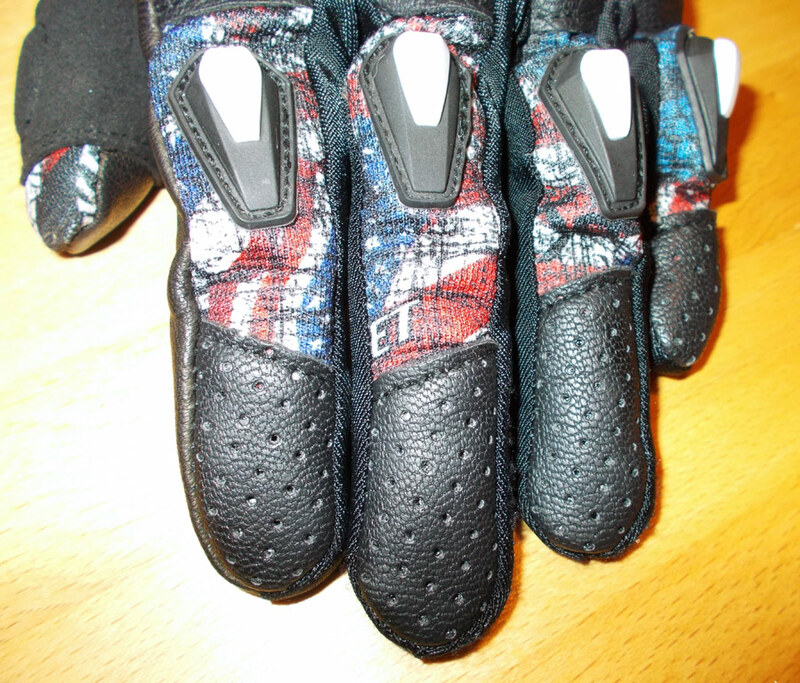 The inside of the glove is lined with the nylon as well, making it super easy to slip these gloves on. And, for once, I didn’t have sweaty palms after riding in hot, humid weather! The inside of the glove is lined with smooth, breathable nylon. I’m a medium in most men’s gloves (Olympia, Rev’It, Mechanix, Sedici), and the medium in the Joe Rocket Cyntek fits me well. 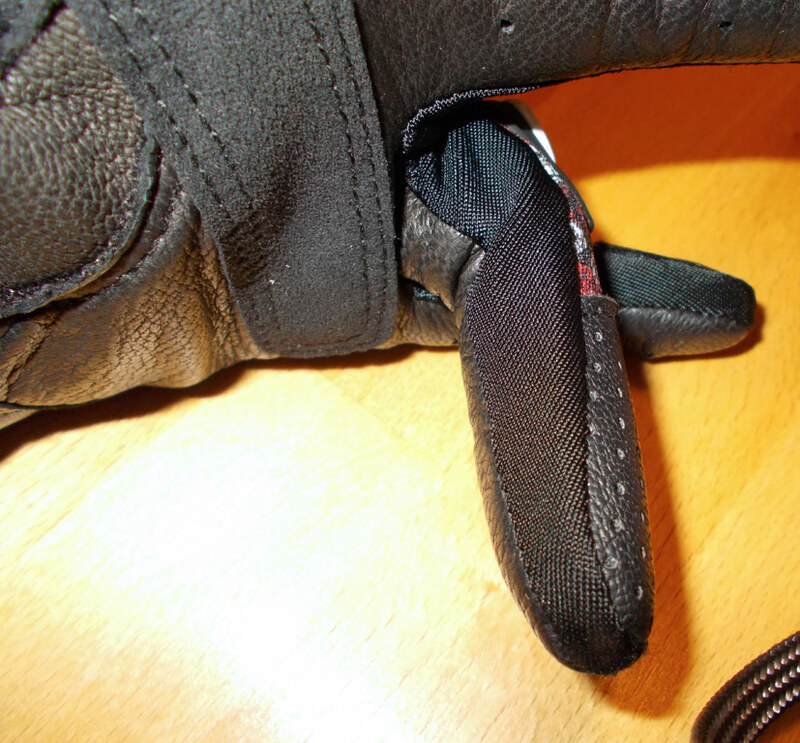 Since there is a nylon gusset behind the wrist closure, the gloves only expand so far to insert your hand. If you have larger wrists, I could see how this might be a problem. For me, there is enough room, and I like that the nylon gusset only lets the wrist open up so far, because if the wrist strap were to fail, it would help the gloves stay on my hand. The only thing I don’t like is that the nylon on the inner fingers snags easily on the velcro when tightening the wrist strap. So, that’s something I will need to be careful about when putting the gloves on. Nylon gusset inside the wrist cuff behind velcro strap. 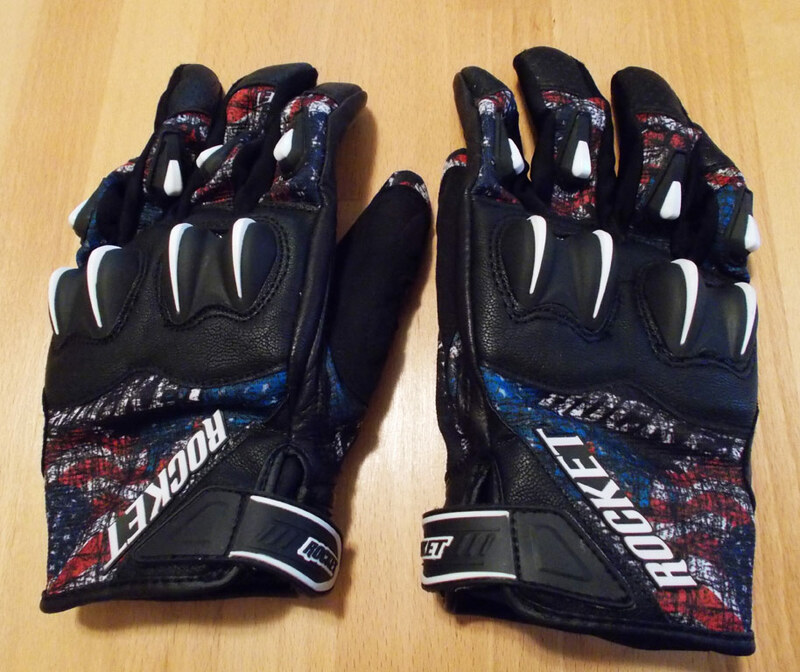 I really like these gloves! They are very comfortable in hot weather while still providing some protection in case of a crash. Multiple color schemes are available, and I think the “Empire” color scheme looks really nice. The white tips on the knuckle protectors add a little touch of visibility (in daylight anyway). The “Rocket” logo covers up too much of the design, in my opinion. If I could change some things, I would add a pinkie slider, make the tops of the finger tips leather, and extend the cuff half an inch more. I would also lose the “Rocket” logo on the back so more of the flag design was visible. All that being said, I’m pretty happy with these gloves, and I would recommend them if you’re looking for a summer glove that still offers protection.